Another proud moment for LIPS. 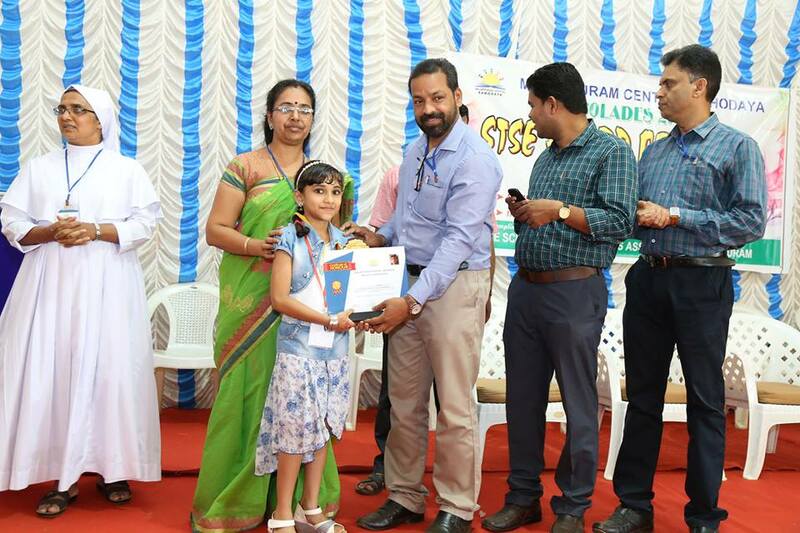 Little India Public School conducted Kindergarten Convocation Day with every success at CKM auditorium, Mailadi on Saturday, March 30, 2019. The programme began at 9.30 with invocation by Kadeeja Ziya, Aflah Fathima ,Hanin Fathima and Ayisha Sanna of UKG , followed by a welcome dance by UKG children. Kindergarten trainer Miss Rabecca welcomed the gathering. Presidential talk was delivered by the Principal Raseena Latheef, who took over the charge to do the presentation of the little graduates. 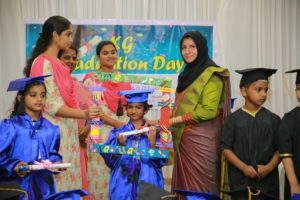 She gave a few tips to the parents and teachers in training and bringing up the children, which was followed by the Conferring of the graduation title by Nadeem Kappan. In his convocation address, he complimented the graduates on their achievements, also congratulated the teachers for their tireless efforts and dedication in nurturing and grooming tomorrow's leaders through education and other co-curricular activities. He added, we need to teach the children the basic manners and teach them how to respect their elders, teachers and parents and that we need to train and foster the children in all aspects socially, emotionally, intellectually and spiritually. 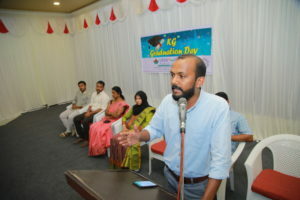 The formal programme concluded with graduation song and dance performed by UKG students and with graduation speech by Fenin Ibad which was cherished the audience. 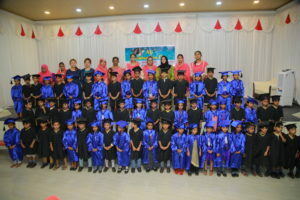 The KG teachers sang a farewell song to the little ones of UKG, wishing them well in their further studies. At the end, Tabu, Kindergarten fecilitator expressed their gratitude and appreciation to the management, principal and teachers in the form of vote of thanks. 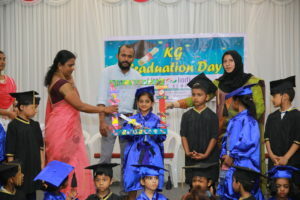 The day was indeed a mirthful and memorable to the young buds as they received their KG Graduation credentials from Nadeem Kappan, LIPS Director and from the Principal Raseena Latheef. 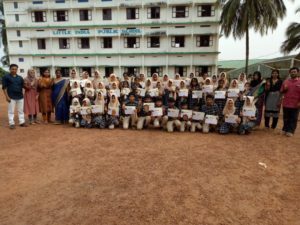 Finally they were in cloud nine when they were presented a momentum for the best performance in KG by Vice Principal Sreeja Pradeep. May God bless these tiny graduates as they are moving forward to continue another new beginning in the different chapters of their life. Every single drop of water matters as it has life and can be the reason for the existence of millions of living species.Birds are at greater risk of lethal dehydration and mass die-offs when water is scarce, and this risk is predicted to worsen as climate change progresses. In regard to World Water Day Observance , The LIPS Scout Wing took the noble initiative for the project of clay pot drinking water feeder for the birds to quench their thirst in this spell of dry weather as the birds can hardly find water to drink and struggling to find a single drop of it.The project was officially launched by hanging a clay pot feeder on a tree at school premises by the Principal and all the LIPSIANS joined in this noble deed. Shooting stars with mesmerizing and powerful words really takes us to the world of ecstacy. Of course, your ideas change into thoughts and thoughts into words, if you are well versed in a language. If one is able to read,write and does the arithmetic was considered to be educated. But gone are the days.The concept of education is completely different now. If you have confidence to face the audience, to express your acquired wealth of knowledge in words, you can be a winner in the present world. Little India Public School always trains the kids how to excel in all walks of life. 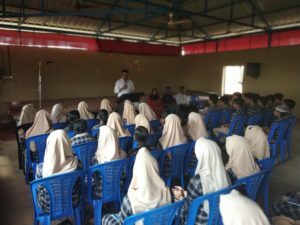 Aiming to bring out their implicit potentials and innate talents, a public speaking workshop was organised for grade X on 11th March 2019. 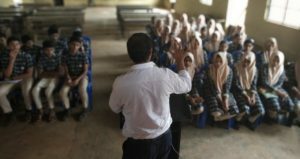 The workshop was led by Mr.Abdurahman, communicative English expert of 'bestraits'. LIPS WELCOMED THE NEW YEAR IN A DIFFERENT WAY. 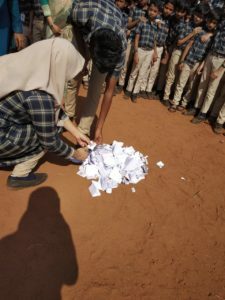 The whole school penned their bad habits in a piece of paper and symbolically burned bidding adieu to bad habits and added new habits in the pages of their promising year ahead. They pledged that never repeat bad habits which was haunted like a bad omen. Little Lipsians with a different mission enjoyed and conducted assembly.